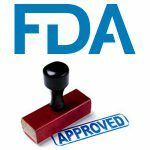 In recent years, the U.S. Food and Drug Administration has approved immune checkpoint inhibitors, a class of immunotherapy, to treat 10 different types of cancer, in addition to solid tumors located anywhere in the body that have certain DNA damage and repair-related biomarkers. However, only a small percentage of patients respond to these treatments, and they can have significant side effects. Researchers are therefore looking for biomarkers that can identify patients who are likely to respond to immune checkpoint inhibitors, so that those who are unlikely to respond can be spared the side effects and time that they could spend on other treatments. One biomarker that has been studied extensively is the protein PD-L1. Cancers often use PD-L1, which binds to PD-1, a checkpoint protein present on T cells, to prevent the T cells from attacking the cancer cells. Immune checkpoint inhibitors that target the PD-1/PD-L1 axis, such as pembrolizumab (Keytruda) and nivolumab (Opdivo), work by releasing the brakes applied on T cells by the PD-L1–expressing cancer cells. Measuring PD-L1 in tumor tissues could potentially help identify patients who are eligible for this type of treatment. In fact, it is a requirement for treating certain lung and stomach cancers with pembrolizumab. This approach, however, has several challenges. PD-L1 expression is dynamic in nature, meaning that the levels of this protein sometimes vary during the course of disease. Other issues include variations in tissue processing methods, the antibodies used to detect PD-L1, and the cutoffs used for measurements, as summarized in this paper in Molecular Cancer Therapeutics. These setbacks have made establishing this protein as a predictive biomarker largely unsuccessful. Further, obtaining biopsies from tumors that are often located in inconvenient locations can be cumbersome, risky, and painful for the patients. The heterogeneity of tumors (meaning, different areas of the tumor could have different composition) further compounds the problem, because obtaining multiple biopsy samples at multiple time points is not always feasible. A recent trend in research into finding biomarkers of response to immune checkpoint inhibitors has been to use alternatives to tissue biopsies, such as blood samples or radiological measurements. Studies published recently in the AACR journals Clinical Cancer Research, Cancer Research, and Cancer Immunology Research provide examples of such efforts. 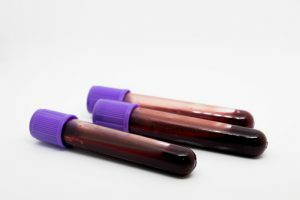 In a study published last week in Clinical Cancer Research, researchers from the University of California San Diego Moores Cancer Center measured DNA alterations in liquid biopsies from patients receiving immune checkpoint inhibitors and tested if the number of alterations correlated with response to the treatment. The team analyzed the circulating tumor DNA (ctDNA; tumor DNA collected from blood samples) by next-generation sequencing using Guardant360 assay and counted the number of variants of unknown significance (VUS; alterations in the DNA whose association with disease risk is unknown). The researchers found that the number of VUS was associated with response to immune checkpoint inhibitor therapy. Following treatment with an immune checkpoint inhibitor, patients with more than three VUS in their ctDNA had significantly higher response rates (45 percent) compared with those who had three or fewer VUS (15 percent). While the median survival was not reached among patients who had higher numbers of VUS, those who had lower numbers of VUS had a median survival of only about 11 months. In a study published in May 2017 in Cancer Research, a team of researchers from Massachusetts General Hospital and Harvard Medical School in Boston tested whether a noninvasive PET imaging probe they designed could distinguish tumors that respond to immune checkpoint inhibitors from those that do not respond, early in the course of treatment. 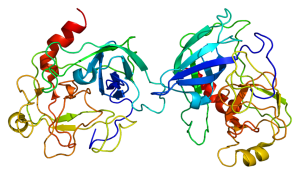 Granzyme B protein. Wikipedia image. The probe that Umar Mahmood, MD, PhD, and his colleagues designed binds to granzyme B, a protein released by immune cells to kill cancer cells, after it is released from the immune cells. The researchers combined this technology with PET to noninvasively image the entire body and locate immune cells that are actively releasing granzyme B. 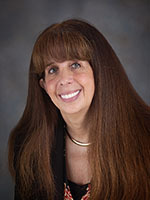 Results of the study showed that the probe could distinguish mouse and human tumor samples that responded to treatment, detected as high PET signals because of elevated levels of granzyme B secreted by the immune cells, from those that did not respond to treatment because of low levels of granzyme B and low PET signals. 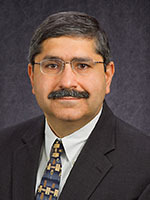 Response to immunotherapy often cannot be measured effectively at early time points by traditional imaging techniques that measure tumor size, such as CT and MRI scans, or those that measure tumor glucose uptake, such as FDG PET, noted Mahmood, because these techniques cannot distinguish a nonresponding tumor from a tumor that is responding to immunotherapy but appears to grow because it is filled with immune cells and accompanied by increased glucose uptake. This effect is often described as pseudoprogression. 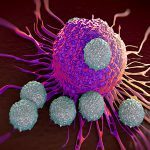 “The ability to differentiate early in the course of treatment patients who are likely to benefit from immunotherapy from those who will not can greatly improve individual patient care and help accelerate the development of new therapies,” Mahmood said in an interview. As reported previously on this blog, a team of researchers from the Dana-Farber Cancer Institute in Boston demonstrated that serum levels of ANGPT2, a protein related to blood vessel formation (angiogenesis) could predict response to, and influenced the outcomes of, immune checkpoint inhibitors in patients with advanced melanoma. They also noted that ANGPT2 may serve as a target for combination therapies of inhibitors of immune checkpoint and angiogenesis. This study was published in Cancer Immunology Research. With further research and testing, such efforts will hopefully translate into efficient, noninvasive tools for oncologists and patients in choosing the right treatment, thereby improving outcomes.